Yippeee! Yippeeee! Yipeee! WE’VE MOVED IN, we’ve moved in. — OK sorry I am a bit giddy and over tired and even perhaps a bit confused from no sleep, the car ride and anxiety that my fans might not know where to find me. First things first. Me, shelter staff, Animal Services officers, the director and even the administrative staff are in our new home 6435 Capitol Ave. in Diamond Springs. First is was all the chaos of the King Fire and then all the staff and volunteers with their packing and cleaning and moving activities that have totally disrupted my “Handsome Sleep.” They even had to deliberately wake me up on several occasions to ask my advise about where to put some of the items. 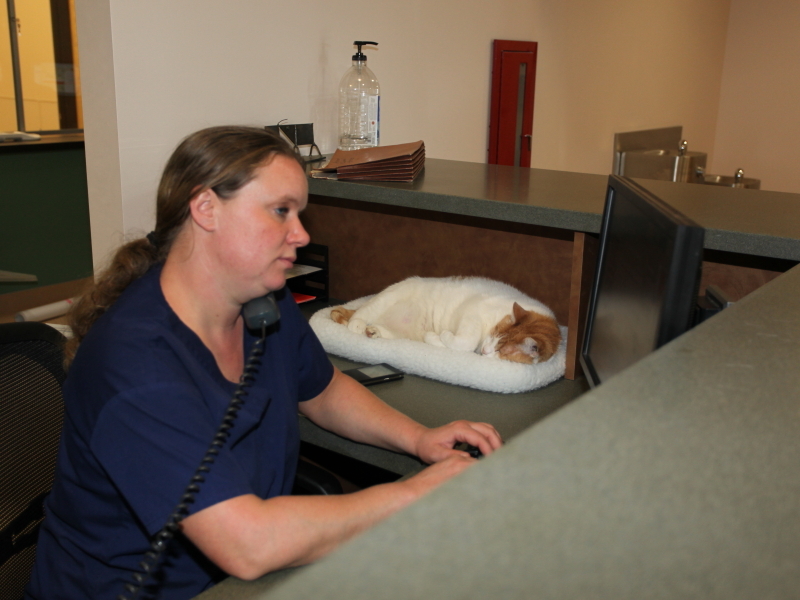 Anyway it was incredibly exhausting but as you can see they found me a suitable napping spot at the front desk so I can greet my fans. We open in the morning. That will be THURSDAY, OCTOBER 16th at 9:30am. 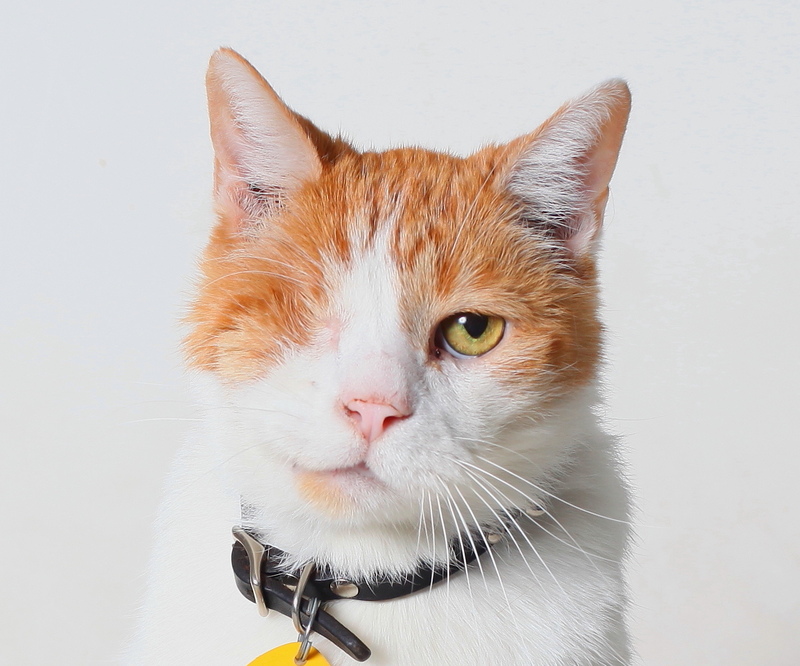 Check the El Dorado County Animal Services Website for the shelter and administrative hours (I hear tell will be open at lunch now so my fans can stop by on their lunch hour.) and other details. The grand opening has yet to be announced and things are still being completed around here but you can stop in and take a look at the lobby and give me a couple of nice head pats starting on the 16th. I am a bit disappointed that there are not too many dogs in here yet and the barn is not quite ready for those horse types I will need to train but its all looking pretty good. Outside perimeter fencing is just beginning to go up but the walkway to visit me is in and today’s sky was a lovely blue. Inside Alli and Sara are putting up shelving and filling it with blankets and towels to keep all of my friends and me comfortable. There seems to be a room, a cupboard or nook or cranny for about everything. Tuesday the veterinary clinic and grooming equipment started to arrive. Two of the cool cat towers are already here along with some incredibly confusing kitten triplets that I cannot for the life of me tell apart. After getting the volunteer computer up and running, one of my deputies (Deputy Donna) almost scared the little tykes to death making funny faces. 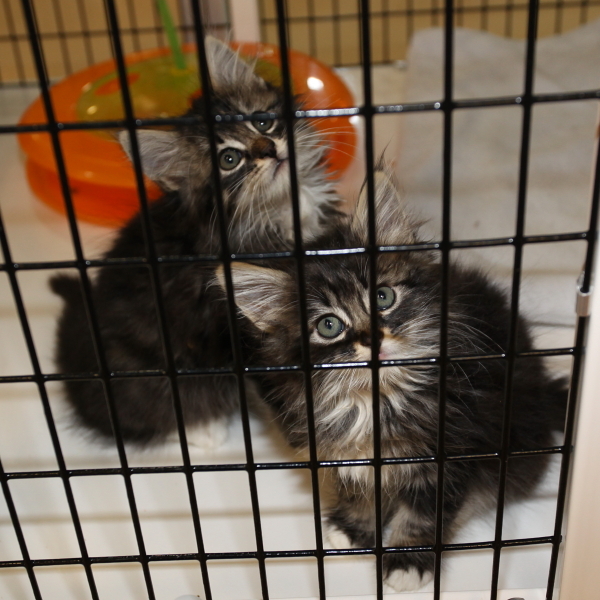 The kittens not the deputy should be in next week’s Adopt A Pet Ad in the Mountain Democrat. PAWED volunteers were greeting people at the door this week so I could get some sleep. It will take staff and I a while to sort out everything here at the new place so please bear with us as we get all the kinks out and as I catch up on my sleep. Deputy Donna playing with the kittens. One of the new residents. New high tech cat towers. Very cool. Another great PAWED volunteer greeting people at the door this week. Sally Port keeps the sun off the Officer’s vehicles. Awaiting fencing. Arrival of the grooming tub. The heated surgery table arrives. Foaling stall is still a work in progress. 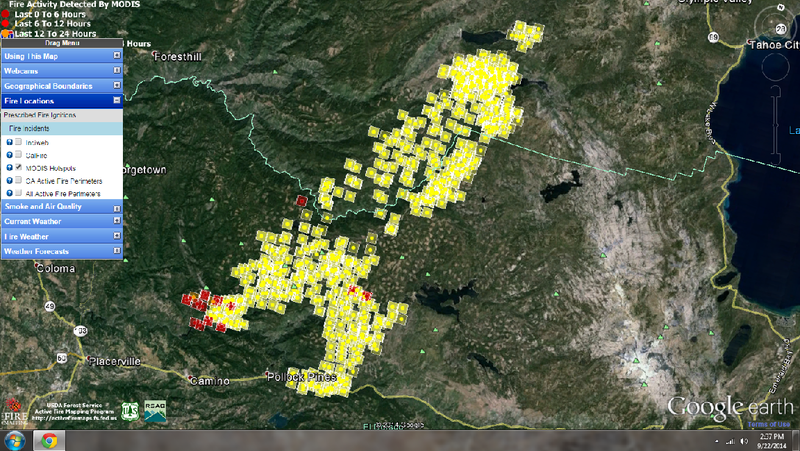 With the King Fire it has been a pretty chaotic 10 days. Before I get started let me just say that my two lady friends Thumbelina and Nora featured in my last post have both been adopted. 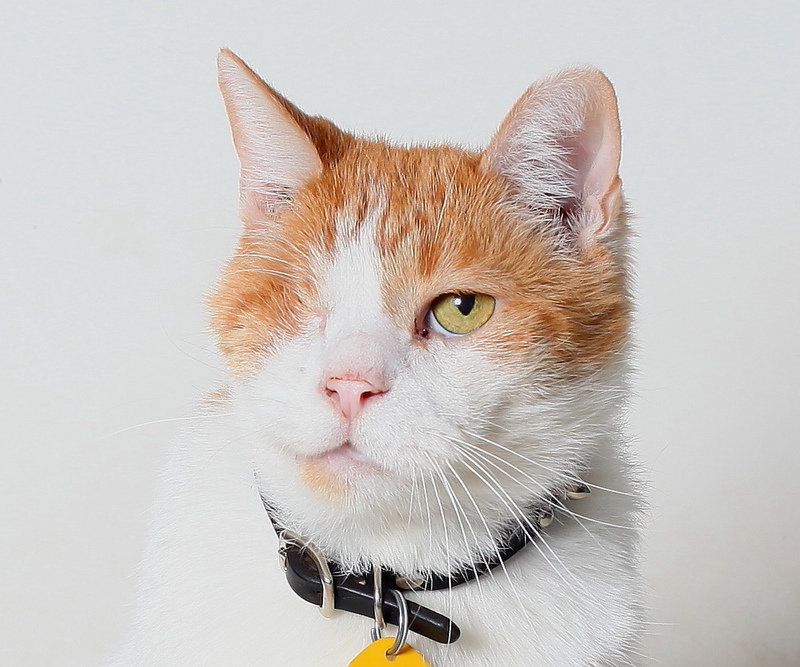 My buds Katt and Mouse are still looking for their forever homes and will be in this week’s Adopt a Pet ad in the Mountain Democrat. Most of the dogs were fostered out or moved to other shelters because of the fire. With 4-5 different sheltering sites at one time or another it has taken some great team work to keep them all staffed with volunteers and supplies. Once again the Ponderosa FFA stepped up with their school Farm at the High School and with manpower from the FFA to house small livestock like sheep, goats, pigs poultry and water fowl. The Fairgrounds is staffed with South County Large Animal Rescue volunteers and El Dorado County Animal Services staff who are looking after large livestock like horses. 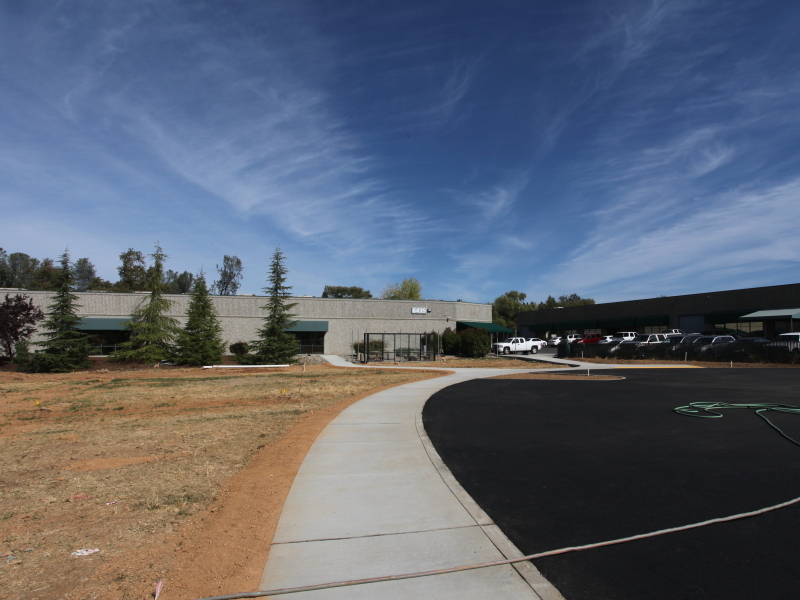 The Placerville Shelter site is housing dogs, cats, chinchillas, cage birds and a guinea pig. 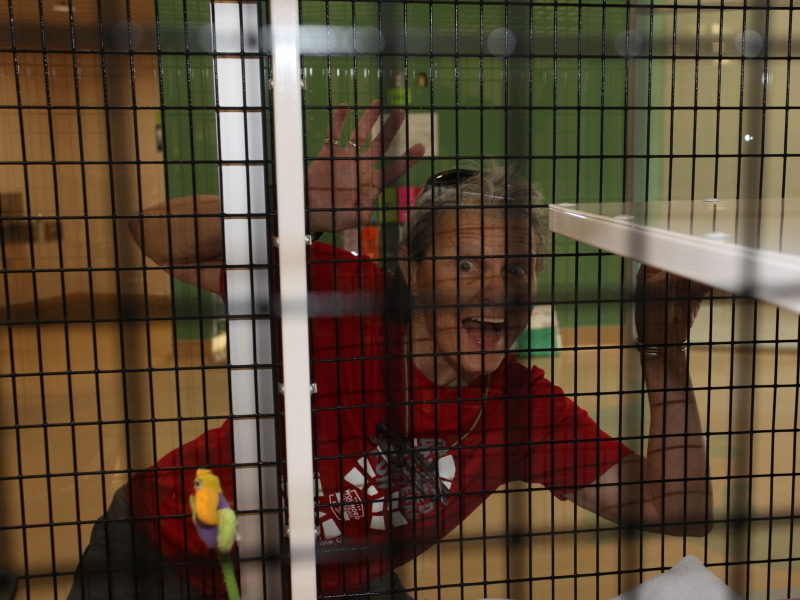 (No partridges and no pear trees or other flora) – PAWED shelter volunteers and EDCAS staff are seeing to their needs. As you all know how important my ‘Handsome Sleep’ is, I am sure you can appreciate how big an impact this has had on my nap schedule, but the poor dogs and cats that had to be moved 3 times as the fire shifted and surged and the humans caring for them had it way worse (not to mention the poor people who were evacuated). 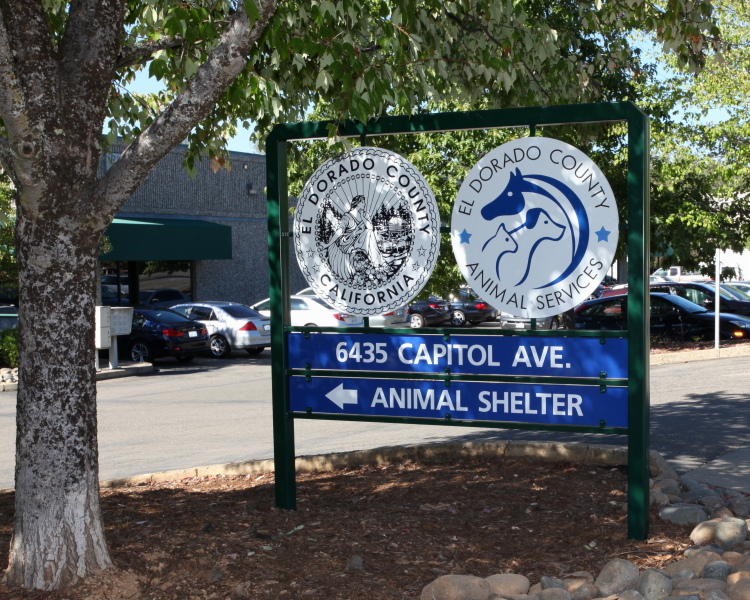 Sheltering so many dogs at the EDCAS Placerville Shelter was made possible through the loan of 8 dog show tents by HANGTOWN KENNEL CLUB – these are critical to provide shade. 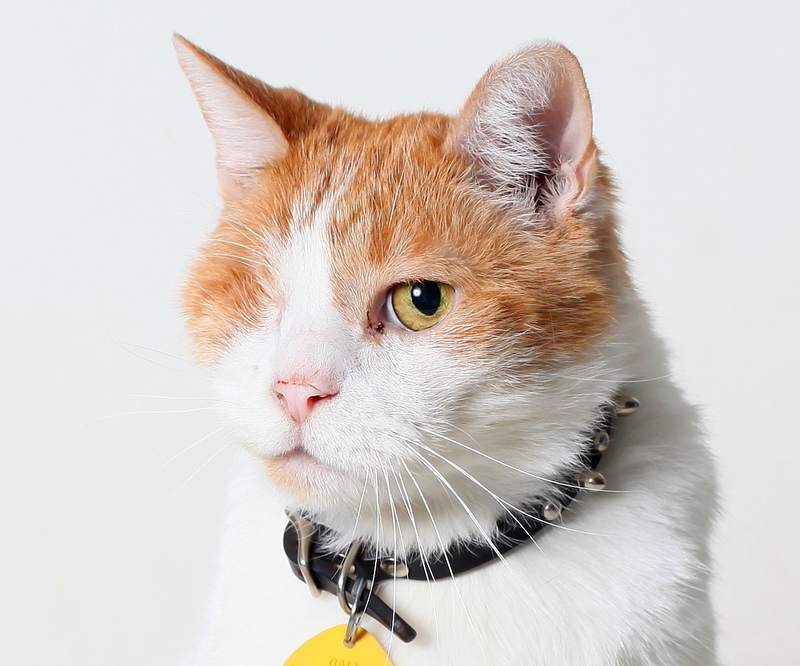 A local community member also lent the use of an additional building near by for cats. Thank you to all of my fans who have donated supplies and have taken laundry to do at their own homes so my friends can have clean bedding. So I will count my self lucky as at least my home did not move through all of this. The lobby is looking nice with lots of glass and soothing colors. Speaking of homes, I thought you would all like some good news. Things are really going well over at my new home and this last week that barn kit you saw delivered in piles is going up. A modern ‘barn raising’. As Tim the construction guy says its been good with all the holes and bolts aligning. Its been such a quick process I have had to put 3 different deputies on the task of capturing it in photos (Thanks Barb L., Donna D. and Lisa C.) The horses will have a nice woodsy view out some of the back doors. Barn Star – Noah’s Wish Barn. Check out the gallery of barn raising pictures below. 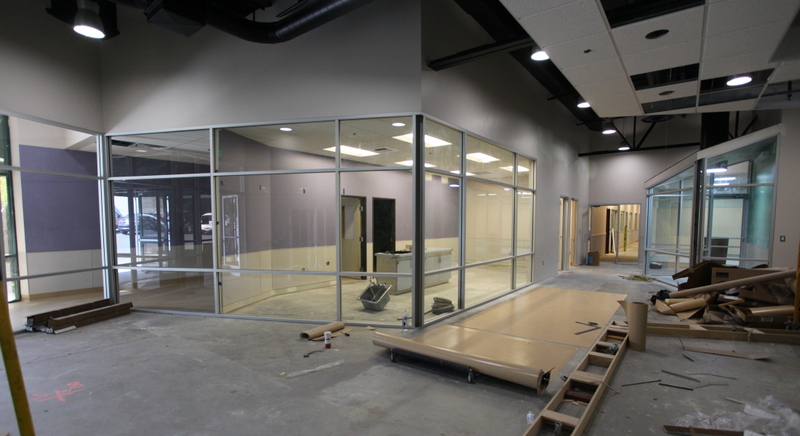 Inside the New Animal Services Facility glass and doors are going in and every thing is really looking spiffy. There is even a drinking fountain for my fans in the front lobby. Lots of work to keep the construction guys busy for a bit yet, but not too much. I got my portrait taken for MY TILE a while back and they sent me 3 proofs to review. Let me know what you think. My Sheriff’s hat came and I have some possible movie roles too but I will share those next time if the King Fire cooperates. 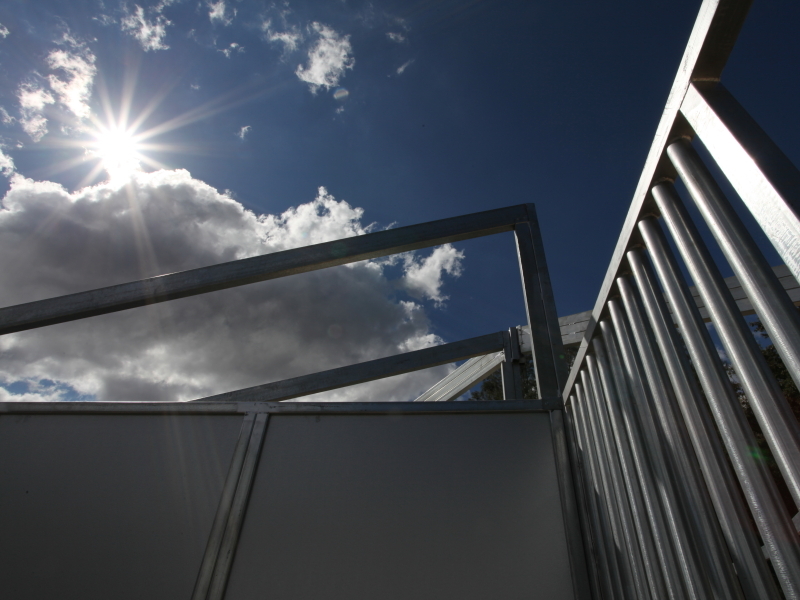 Anyway, enjoy the gallery of the latest new shelter photos including the barn raising. Till next time MEOWZA and stay safe. That especially goes for all the animal services officers, Sheriff’s officers and firefighters out there working this nasty King Fire. The base for the sally port. View of lobby from the long front hallway. Meet and greet rooms, nice colors. The really really long back hallway. From the lobby looking toward the long front hallway. Grading of animal exercise areas. Flooring and walls are ready for the Dog Kennel insatallation. Nice drinking fountains for my fans – and other people. One of the cat rooms. More of the barns back side. Some stalls can be made larger. A view out a stall door. Stall door and feeding door. Feed area awaiting a roof. Front side of the barn. The barn still needs a little extra support while the bolts go in. Front side of the barn from the walkway to the main shelter building. A view from the sally port.